was Nid. rutilans variegata and regelioides before that. To the Nidularium grower these two words will sound familiar and will be the registered name for an old survivor which went by the illegal name of Nid. regelioides variegata or Nid. 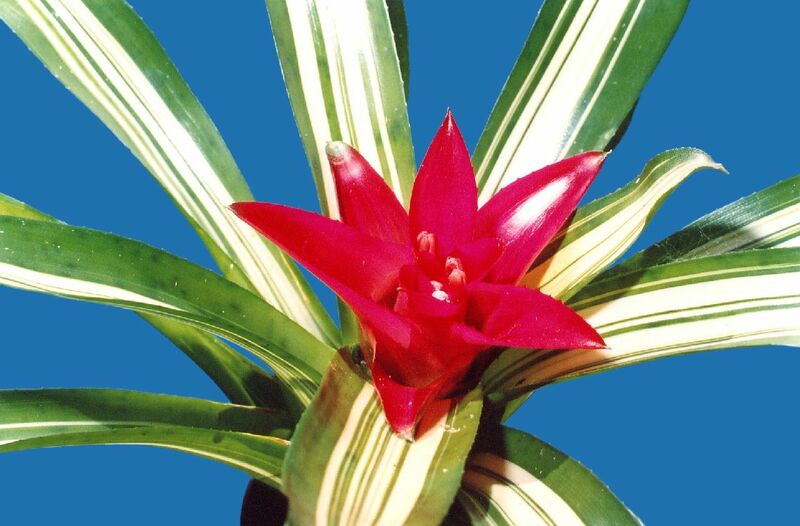 rutilans variegata. It has been around for over 40 years but nobody has reported when or where it sported/mutated. The Taxonomist needs to know who collected a plant in the wild and where, before he considers it worthwhile to make a herbarium specimen and formally describe it. The Cultonomist also likes to know where a plant originated! And recorded. The Grower in many cases, takes the easy way out by using quasi-botanical names. Plants evolve in the wild where it is mostly, survival of the fittest. Plants in cultivation face a different sort of survival depending on the whims and fancies of growers. 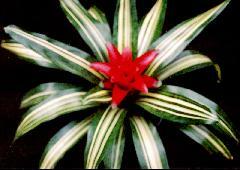 When the BCR was first published in 1998 there were a few Neoregelia names published with the comment “Grace Goode indicated that she felt this plant was not still in cultivation”. The problem here was that when I was Registrar after 1998 I came across some that had actually survived. In other words nobody knows where or how selected plants survive in captivity. The more you read the BCR entries the more you realise that some of them are seemingly extinct after only a short space of time i.e. 5 years whereas others have survived. In this case it has survived since the 1980’s. In fact it got a mention in New Standardized Cultivar Names by Nat De Leon, BSI Hybrid Registrar in Journ Brom Soc 35(1): 34-37. 1985 but regrettably not according to the ICNCP rules on variegated plants. I quote “Nidularium regelioides 'Variegata' (syn. 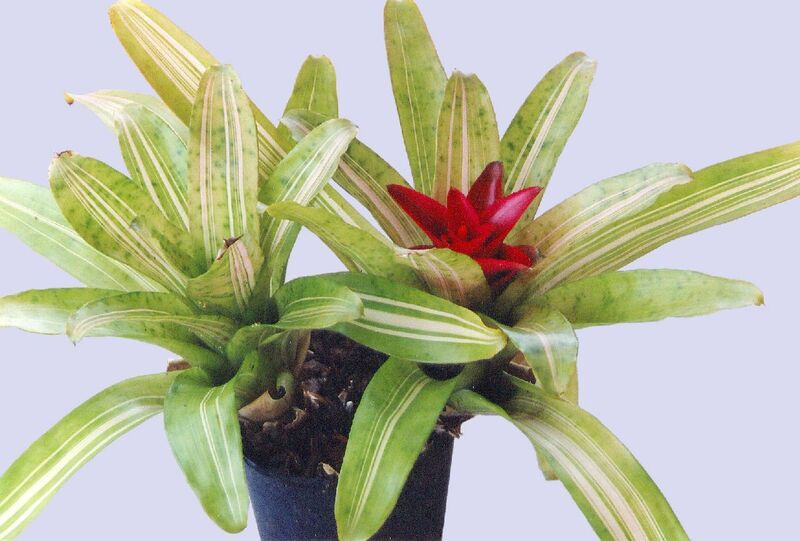 rutilans variegata)”. I put my query to Ross Little and he confirmed he had this plant alive and had been popular with the Buchanan’s when they owned Pinegrove nursery. Their records showed they had received the plant from various sources as follows BBK #350, Nidularium rutilans variegated, 4/83 Schaefer, 4/85 Sax, 8/85 Goode, Schaefer, 1/86 Wasley, 6/86 Gleeson.. None had claimed being the first to notice the variegation so it would appear it originated in either Europe or the USA. I did consider Brazil but Seidel does not have it in their catalogues. It is in Kent’s 1979 catalogue under Nid rutilans variegata and in 1981 Tropiflora under Nid. regelioides variegata. Sometimes the primary bracts can be variegated too. As for the name, you can thank Ross Little for that.